Metallon is committed to expanding our reserves and resources through ongoing exploration. Exploration activities at our mining assets are focused on extending existing orebodies and identifying new orebodies both at existing and undeveloped sites. Metallon’s prospecting interests cover a total area of 101,803 hectares in Zimbabwe. 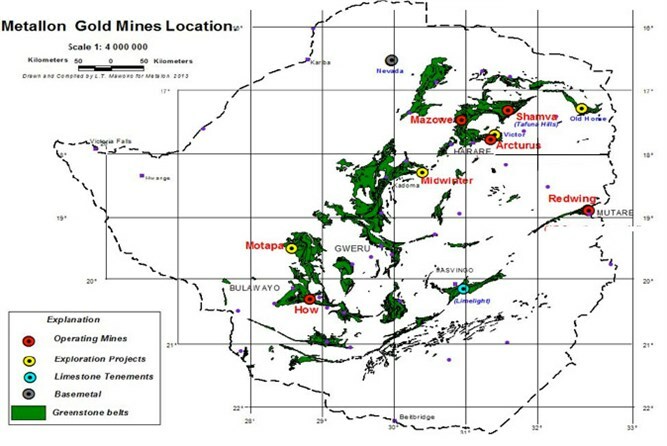 In addition to ongoing mine site exploration, Metallon has a programme of investment in regional exploration. In 2017, the budget for exploration in Zimbabwe is approximately US$2.5 million. Metallon believes that there are still many exciting prospects in Zimbabwe. The greenstone belt is well mapped but still under explored.